Hey guys. We are liquidating all of our remaining adjustable poles. 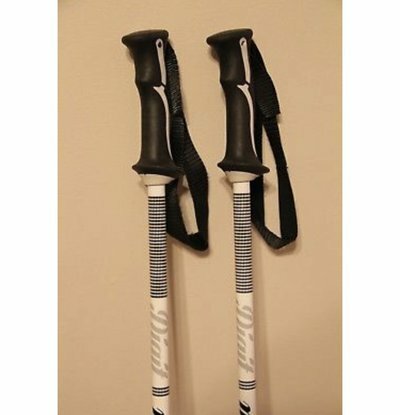 This is a 7075 grade aluminum pole with rubber grips and adjusts from 76-135cm. Twist locking. shipping is free to anywhere in the continental US. PM me for questions. PayPal Only. Bump. I also have some old green or pink park poles for $25 shipped. limited sizes between 32-44in. Newer all 36in black on black and Yellow with black lettering would be $30 shipped and willing to cut deals on multiple orders. Shipping has been the killer. I'll post pictures on my profile later. Whats the diameter of the upper and lower? bump. Still have plenty left and will throw in a free neck tube with all orders. I'm interested in a pair. Are you cool with Venmo? If you got two sets for 50. one pair for 25? Zypher If you got two sets for 50. one pair for 25? nvm saw 35 shipped. im down, you take paypal? As mentioned, each set will come with a free neck tube. Additional Neck tubes $3 each. 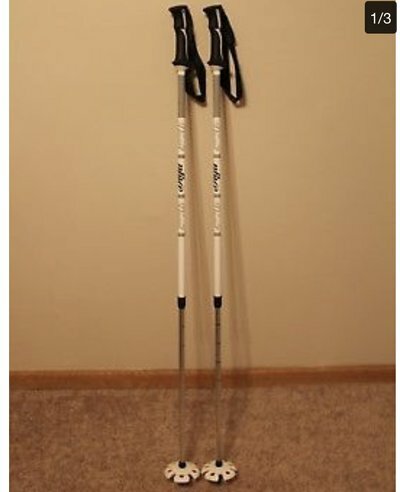 Poles came in great condition and seller honest. I would definitely buy from again. What you see in the picture is what you get. Thanks! Still have any black on black? NewWave Still have any black on black? Adjustable in black or just the white and silver? Yall got any black on black? Still any of the b&b left? bump. I know its summer but I won't be able to keep this deal for long as inventory is dwindling down. Last month until prices jump back up for winter demand. Best price you'll see on adjustables of this quality. Which poles thats still available? AstroKush Which poles thats still available? These are the only adjustable poles we have but we do have some yellow and black, or black and black park poles which i can send pics over if you'd like via text since I'm at work and don't have the photos stored on here. Prices go up in October. hook ups for multiple purchases. In my personal experience, if you plant hard the poles will collapse a bit. That being said, if you’re just looking for some cheap adjustable poles, they’re very nice and for the price they’re pretty good feel wise. I normally use black diamond expedition poles (fixed length lightweight poles) and those will probably be my daily’s for life just because they’re awesome and cheap when on sale. Still plenty available. Snag em before winter.